Businessman counting euro banknotes. 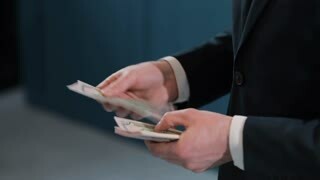 A business deal with the transfer of money. Close-up of man gives a stack of euro to girls.